You are not logged in. [Log In] Weatherzone » Forums » Photography » Non-weather Photography » Spring/Summer 2014/2015 Non-weather Images. #1279089 - 07/10/2014 07:36 Spring/Summer 2014/2015 Non-weather Images. With the weather warming up nicely and the water temp is starting to warm up slowly but surely, time to pull at the Gopro and take some underwater snaps. Under a small wave breaking. Beautiful and unusual picture of a wave from the inside Eddy. Nice pic Steve777, we're you in Tea Gardens at any stage or were you on chartered vessel from Nelson Bay? I was visiting my sister in Newcastle yesterday and today. We made a day trip to Nelsons Bay and went on the Dolphin Cruise. Port Stephens is a beautiful spot, especially on a day like today. Glad you enjoyed it, hopefully you got to see the many of dolphins that frequent our waters?? The boat went out to be quite close to the Northern headland, where there was a pod of dolphins (up to 20?) close to the rocks. Very hard to catch on an iphone camera. Well least you got to see some, you know every two years they do a census on how many dolphins are in Port Stehens!! I'll try and find some figures. Anyway i'm right into surf photography atm and i'm loving it!! Here is a pic that i had taken earlier today!! Next time id like to be able to use the tripod and get some more night time shots. 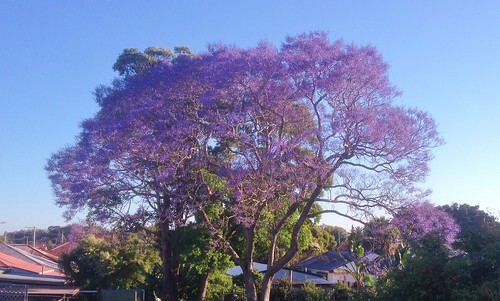 Jacarandas are one of the best things about Spring. This year they came out more or less on time (about 3rd - 4th week of October), unlike last year when they were about 3 weeks early. Went camping at Old Mornington station 100kms from Fitzroy Crossing W.A on the Leopold Ranges a few weeks ago. 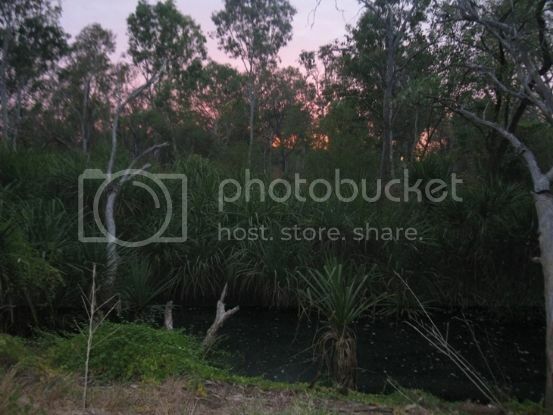 This pic taken at sun rise at Annies Creek where we camped. Yes Steve, Port Stephens definitely is a beautiful place. I go up there almost every Christmas holidays. The drive from Newy to PS is so boring though, as you probably found out. Nice pic of the heads. I am guessing that you are directly north of about Corlette or Salamander Bay, judging by how far away the heads are from the pic. I have some pics of my own from my recent Great Barrier Reef Trip! Liverpool Plains scenery, near Quirindi on the 30th Oct. This day traveling up was quite warm with very low humidity anywhere away from the coast. As you can see conditions were almost perfect out on the water for snorkeling. This was taken as we were approaching Hardy Reef. Someone trying to touch a fish (they just won't let you touch them!!). On the bottom left is a classic example of Brain Coral. Just about to leave Hardy Reef. Conditions for the day were brilliant with the temp at about 25C, both in and out of the water and winds were N'ly at barely 5 knots. 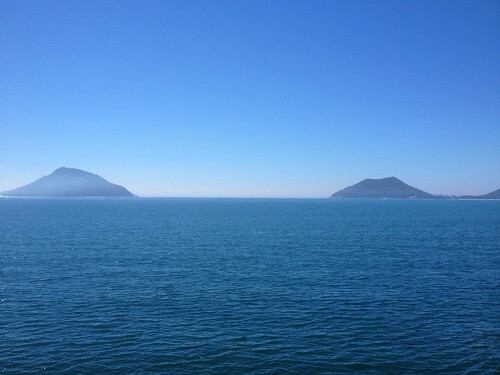 Looking toward the Elizabeth group of Islands from near Hamilton Is. Did you travel up there by bus? Even though Whitehaven claims the reputation of being the whitest beach in the world, Greenpatch down at Jervis Bay (which also claims this reputation) is actually whiter by a fair bit. I can confirm as I have now been to both. The pic is looking east towards Haselwood Island. Airlie Beach scenery, 4th Nov. It was mostly cloudy with heavy downpours and moderate SE winds. Although the afternoon cleared up a bit. View towards the Whitsundays on 5th Nov, from the top of Mt Rooper which is between Shute Harbour and Airlie Beach. The view could have been better if there wasn't fresh SE'ly winds and cloud cover. ....And a bonus thunderstorm on the Gold Coast on the 6th Nov.
Yeah, 26 hour bus trip to Rockhampton on the 30th. Then a 6 hour daytime bus trip on the 1st from Rocky to Proserpine. 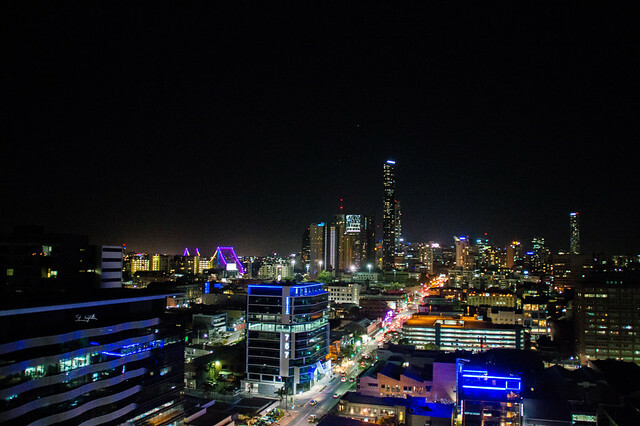 Then on Wednesday night (5th Nov) we travelled to the Gold Coast. And on Friday night (7th Nov) we drove back home to arrive at 9am on the 8th. So yeah it was all by bus. 26 hours in a bus, would have driven me nuts!! I see you went to Whitehaven, but did you go to the inlet? I actually found it pretty enjoyable being with all my mates and plus we got to stop at a servo every 2-3 hours to buy stuff and have a toilet stop. It ended up being better than I expected with only real downfall being difficulty to sleep. Nah we just went straight to Whitehaven from Port of Airlie via Daydream Is and Hamilton Is. Btw, which inlet are you talking about? Hill inlet, i could'nt think of the name to the place last night. Here is a pic, Whitehaven is on left of pic. Ah that inlet on the northern side of Whitehaven. We were on the far southern side. Looks like you got some good, clear weather there, looks like late autumn or winter.